Every week, we're picking a lucky winner to feature on our homepage as part of our #TurtleRescueTeam hashtag contest. To enter, simply post a picture of a turtle or show us what you do to help turtles (HINT: use reusable water bottles!) on Twitter or Instagram and include #TurtleRescueTeam in your caption! This week's winner is @xtinaburke, who shared her image on Instagram. 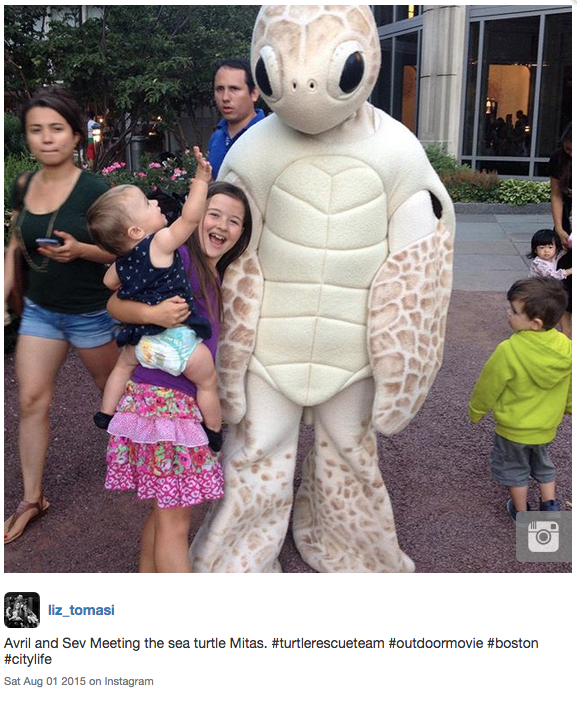 She got not one, but two turtles in her photo of the Giant Ocean Tank! Last week's winner was @liz_tomasi, who snapped and shared this image on Instagram. She saw Mydas during a recent Magic 106.7 Family Film Festival. Our sea turtle mascot was there to make some new friends and recognize attendees who live blue™ by using reusable water bottles and totes. We loved seeing these enthusiastic future ocean protectors, thanks @liz_tomasi! 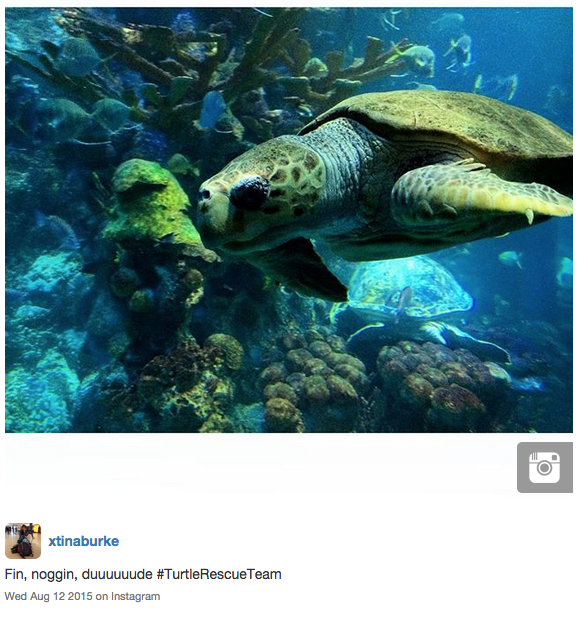 If you want in on this fun, be sure to post pictures to Instagram, Twitter or Tumblr and use our #TurtleRescueTeam hashtag. Learn more about the contest here. Thanks to everyone who's submitted so far. Keep up the great work, humans!